some KDE Screen Edges actions stopped working; others OK? 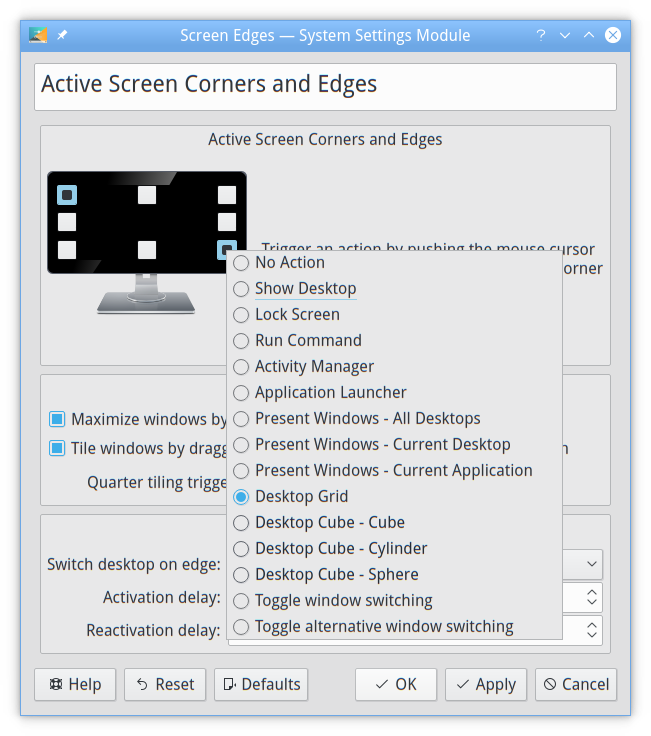 I've used KDE Screen Edges for a long time, with no problems. Something changed recently, probably due to a package update, and now only SOME of the effects do anything. does nothing anymore. But if I just switch it to "Show Desktop" it works fine. I'm not finding any bugs yet on this. And I don't know what to debug to figure this out. Any hints or suggestions how to get this working again?